A shrubby beauty sure to enliven any room or patio! 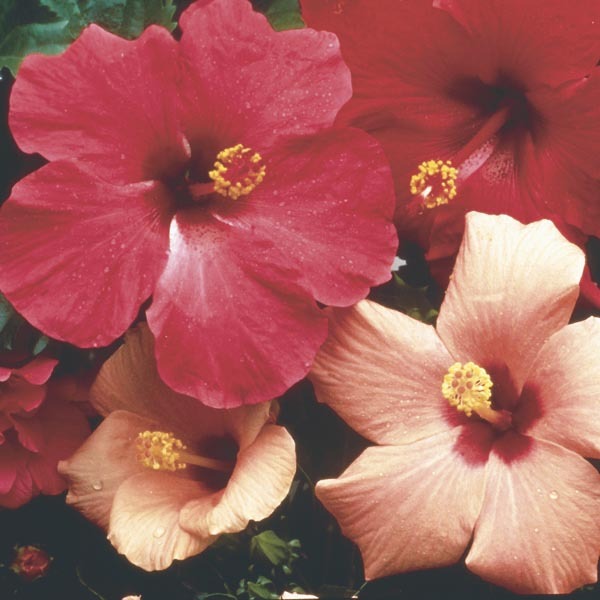 Big, bold blooms and lush, glossy foliage make Hibiscus a tropical knock-out in the houseplant category. Wonderful used as an entry way focal point or brightening a sunny corner. An excellent specimen, foundation, or border plant. Nice for larger patio containers. Can be grown indoors in cold climates if given a bright location. For best results, plant in slightly alkaline, fertile but well-drained soil. Keep soil moist, watering freely in dry weather. Breaks dormancy late so be patient for spring growth. Remove faded flowers for best display.